Handcrafted basketweave dinnerware. Service includes four each of 10.83"Dia. dinner plates, 8.27"Dia. salad plates, and 8.45-ounce, 6.3"Dia. 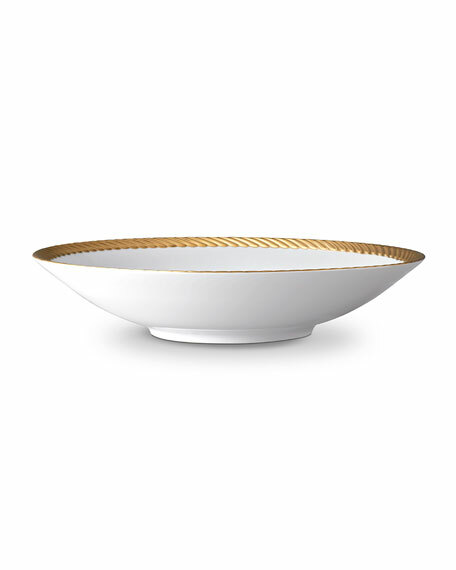 x 3.15"T cereal/soup bowls. Hand-glazed earthenware. Hand-applied goldtone trim. Hand wash. Made in Portugal. EXCLUSIVELY AT NEIMAN MARCUS Handcrafted ceramic pieces may vary slightly in color. Dishwasher and microwave safe. Service for 4 includes 10.625"Dia. 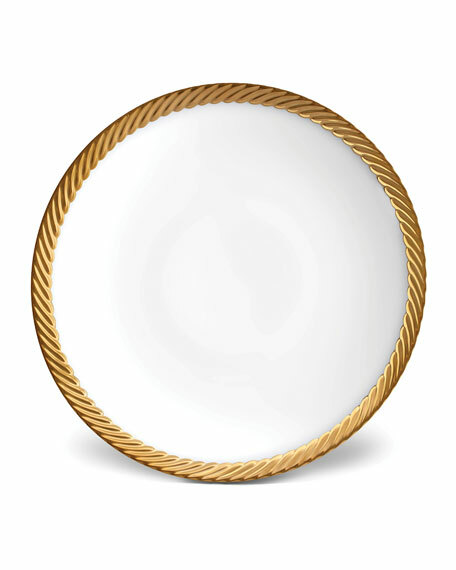 dinner plates, 6.5"Dia. cereal bowls, 9.25"Dia. soup bowls, 6.75-oz. cups, and saucers. Made in Portugal. EXCLUSIVELY AT NEIMAN MARCUS Hand-painted pattern based on a typical Portuguese design from the 17th century. Glazed earthenware made in Portugal. Dishwasher safe.